BOWLING GREEN, O.—Semi-finalists have been selected in the fifth annual David D. Dubois Piano Competition at the Bowling Green State University College of Musical Arts. Contest winners will receive $3,000 for first place, $2,000 for second place and $1,000 for third place. Competing in the next round, to be held from 9 a.m. to 4 p.m. Feb. 14 in BGSU’s Kobacker Hall, will be: Mark Bixel (Bluffton, OH); Yung-­‐Yi Chen(Interlochen, MI); Noah Chojnacki (Eagan, MN); Gabrielle Hsu(Cherry Hill, NJ) Karissa Huang (Cleveland, OH); Adrian Liao (San Diego, CA) Eric Lin (Falls Church, VA); Charlie Liu (Princeton, NJ); Logan Maccariella (Maumee, OH); Jonathan Mattson (Rochester, MN); Abhik Mazumber (Columbus, OH); Chaska McGowan (Sioux Falls, SD); Lucas Myers (Rochester Hills, MI); Poom Pipatjarasgit (Sylvania, OH); Luke Ratcliffe (Sterling, VA); Amber Scherer (Winnetka, IL); Kevin Takeda (Indian Wells, CA); Hanqiu Xu (Rocheser, NY); Vivian Xu (East Brunswick, NJ); Junyu Zhang (Rochester, NY); Minyi Zhang (Interlochen, MI); and Lewis Zou, Solon, OH. Pianists selected from that round will compete in the final round from 9 a.m. to noon on Feb. 15. Judges for the competition include Robert Satterlee from BGSU, Virginia Marks, BGSU Emeritus Faculty, along with Dubois Piano Festival and BGSU Festival Series guest artist Vadym Kholodenko, 2013 Gold Medalist in the Van Cliburn Competition. Mr. Kholodenko will also be giving a master class for students at at 2:30 p.m. Feb.13 in Bryan Recital Hall. The master class is free and open to the public. The piano competition is also part of the Dubois Piano Festival and includes a performance by Vadym Kholodenko, at 8 p.m. Feb. 14 in Kobacker Hall. To purchase tickets online for this performance, visit http://bgsu.edu/arts or call 419-372-8171. Alumni, Join us at OMEA! Adolescent Voice Changes: Enjoy It While It Lasts! Happy Hour cash bar available. Recently appointed first concertmaster of the Berlin Philharmonic, Bendix-Balgley has appeared internationally as a soloist to great acclaim. In 2011, he became concertmaster of the Pittsburgh Symphony Orchestra, where his debut recital in 2012 was named “Best Classical Concert of 2012” by the Pittsburgh Post-Gazette. He has also performed his own version of “The Star-Spangled Banner” for solo violin in front of 39,000 fans at the Pittsburgh Pirates Opening Day at PNC Park. A laureate of the 2009 Queen Elisabeth Competition in Brussels, Bendix-Balgley won the first prize at the 2011 Vibrarte International Music Competition in Paris and was awarded first prize and a special prize for best Bach interpretation at the 14th International Violin Competition in Fermo, Italy. 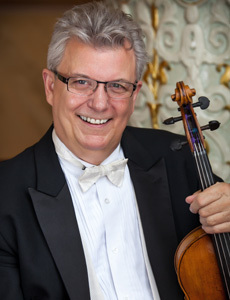 Kelly has enjoyed a distinguished and multifaceted career as principal violist of the Pittsburgh Symphony Orchestra, where he was signed by André Previn in 1976. Previn once wrote that Kelly “transformed his section into what I believe is the best viola section of any orchestra in America.” One highlight of Kelly’s tenure with the orchestra was performing the world premiere of a viola concerto written for him by Samuel Adler, commissioned for the 2000-01 season. In addition to his orchestral career, Kelly’s virtuosity as a soloist and chamber musician has been celebrated around the world. 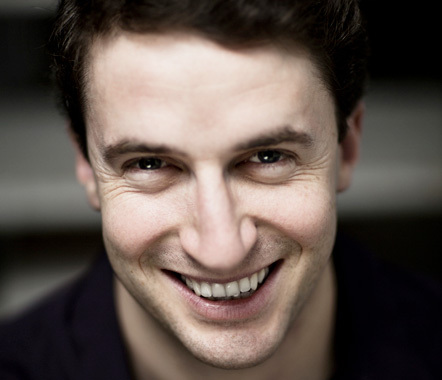 He has collaborated with such artists as Yo-Yo Ma and Pinchas Zukerman. As a soloist, Kelly has appeared on some of the most prestigious concert stages in the world. He made his European solo début when Lorin Maazel invited him to play the “Walton Concerto” with the National Orchestra of France. Advance tickets for the performance are $3 for students and $7 for adults and can be purchased by visiting bgsu.edu/arts or by calling 1-419-372-8171. All tickets the day of performance are $10. BOWLING GREEN, O.—The Dorothy and DuWayne Hansen Musical Arts Series at Bowling Green State University brings educator and music education advocate Duffie Adelson to campus on Jan. 29 and 30. Duffie Adelson is president of the Merit School of Music, a Chicago community music school nationally renowned for the caliber of instruction and level of financial support it provides to more than 5,000 students annually. At BGSU, Adelson will visit two music education classes and present a special talk at 2:30 p.m. on January 30 in Bryan Recital Hall in Moore Musical Arts Center. She will speak about community engagement in music education and ways in which students can use their music training in both traditional and non-traditional situations. The event is free and open to the public. Her visit is the second time recently that BGSU has welcomed representatives from Merit, which is where last fall’s Hansen Series guests the McGill Brothers — Anthony, principal clarinet of the New York Philharmonic, and Demarre McGill, principal flute of the Dallas Symphony — received their early music instruction. 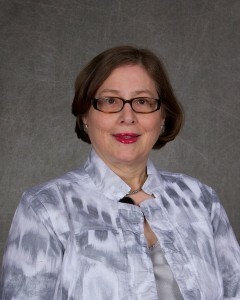 Adelson joined Merit’s faculty in 1982, was appointed associate director in 1986, became executive director in 1993, and was named president of the School in 2007. Under her leadership, Merit completed a $19.6 million capital campaign, increased its endowment to $11 million, and moved into a state-of-the-art facility with a concert hall, music library, recording studio and 50 classrooms. Merit now provides more than $2 million annually to ensure that motivated students can participate regardless of financial need. Adelson earned a Bachelor of Music degree from Lawrence University and a Master of Music from the University of Wisconsin at Madison. She received a Doctorate of Music Education, honoris causa, from VanderCook College in 2007. The New York Times selected Professor Robert Satterlee’s CD, ‘FREDERIC RZEWSKI: PIANO MUSIC’ as one of the best classical recordings of 2014. Her lifelong dreams revolved around music. She sat first chair flute in the top band at Ohio’s Stow-Monroe Falls High School and she was accepted into BGSU’s nationally recognized College of Music to study music education. Kimberly Lewis thought she was right on track to achieve her goals. This placement was a huge blow to Lewis and it made her question where she was headed and what she should do. “This placement was a real reality check for me,” she said. She decided to find out more about performance anxiety and how to conquer it. As part of her Honors program, she worked with Dr. Conor Nelson, assistant professor of flute, and Dr. Kenneth Thompson, chair of music education, to research the subject. She also attended a summer festival and workshop focused on performance anxiety and carried out extensive research. “This project made me realize I wasn’t alone and that I was in control. It was up to me to change my reactions to the anxiety,” she said. The change did not happen overnight. “It wasn’t until I made the finals of the BGSU Concerto Competition during my junior year that I began believing in myself. I didn’t think I was good enough, but I kept trying. No one was more surprised than me when I made the finals! It was in my junior year that I really began enjoying the experience of performaing,” said Lewis. Three years later, Lewis has achieved her goals. She will end her BGSU career as second chair flute in the Wind Symphony and will be graduating Dec. 19 with a double major in music education and music performance. Nelson has nothing but praise for Lewis. “Majoring in both music education and performance is not for the weak of heart. It is a track that only someone with her exquisite time-management skills, talent and broad interests could possibly manage. We are so proud of her. Kim matured exponentially as a musician and flutist during her time at BGSU. Lewis will pursue her master’s degree in music and then see what happens next.